I am a personal historian and I want as many people as possible to discover the importance of writing their life story. We all have a story; it’s the story of your life! Every story has value. I spend a lot of time on this topic. How to write your life story is covered in-depth on my website. This month I introduce you to an incredible special opportunity to join me in a life changing experience. I am going to teach a select few during a special week-long workshop in an amazing place. Read this month’s feature article, My Italian Job, for the exciting details. If you’ve given any thought to writing your life story you’ve probably wondered how to get started. Maybe you have begun, but the project has bogged down. You get occasional bursts of inspiration, followed by periods of inactivity. You get stuck and sometimes frustrated. But you don’t give up. You know it is important. Your life and your story have value and meaning. Still, you wonder how you will ever get it done. If only you could spend a solid week focused on the writing. And some personal one-on-one help from a qualified life story tutor would be of great assistance, too. The thought of a writing retreat is now in your head. You can’t shake it. You become convinced that a week of good instruction and time to finally make solid progress on your life story is what you need. Then you think about how you also want to take a vacation. You need a break from the daily grind. Rest and relaxation would be good for your soul – and your attitude. To choose between the passion of writing your life story or the desire to get away and get much needed recreation seems unfair. Both would be good investments. You really need a holiday. But your life story needs to be preserved, too. A quote from Frances Mayes, author of Under the Tuscan Sun, comes to mind: "Life offers you a thousand chances... all you have to do is take one." There is a solution to the vacation or writing workshop choice. I am very pleased to announce that next summer I will be teaching a week-long "How to write your life story" program. It will be intensive and intimate. There will be plenty of one-to-one help, inspiration, direction and tips. You and a handful of other students will be led on a life story writing journey to explore your creative gifts, key life events, life purpose and unique tale. You will finally make headway on the dream of a life story narrative. The location for this week will solve the dilemma of your much needed and desired vacation. 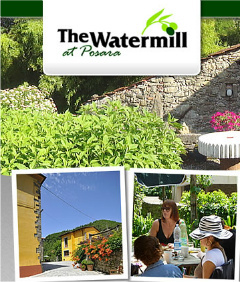 The Watermill in Posara, Italy is hosting the program. This beautiful resort in the Tuscany region has featured numerous creative writing courses. I am delighted that a "Writing Your Life Story" course has been booked for the week of June 28 to July 5, 2014 - http://www.watermill.net/writing-holidays/writing-holidays-tutor-tom-gilbert.php. The Saturday to Saturday program will not only feature the core topics to create a successful memoir, it will feed your body, mind and soul with the exquisite environment of The Watermill, set in the beautiful valley of Lunigiana, Tuscany. Your hard work on your life story will be rewarded with wonderful food, good company and relaxing surroundings. Once you arrive in Pisa until your departure you are treated with the utmost hospitality. Everything is included in the cost of your writing course. This includes all tuition fees, accommodations in the elegant Tuscan house complex, meals, and local transportation. Previous guests use words like ‘magical’, ‘fabulous’ and ‘inspiring’ to describe their experience. I am confident this will be a life highlight and an incredible investment in you and your legacy. The course size is limited to about a dozen people. Book your spot; prices start at $2,000 based on two people sharing. There’s a generous $300 discount for a non-writing partner. Take advantage of the early bird discount of $120 and reserve before the end of the year. I hope you can join me for this life changing experience. See details here. PS – When you sign up for the How to Write Your Life Story program you will get prior access to some individual consulting and writing assistance from me as part of the deal. I will spend time consulting with you and reviewing some of your work in advance at no additional cost (a $250 value)! Keeping track of your ideas, your memories and your projects can be challenging. As a life story instructor and writer of personal history I have found DavidRM Software’s The Journal to be invaluable. I’ve never regretted investing in this incredible tool and the various ways it helps me in my journaling and project management has been tremendous. There are a lot of sales going on right now (Black Friday specials everywhere). I highly recommend you look into the special pricing for The Journal now through December 2. Go here to see how The Journal can work for you.